click on the image to viwe our case for support brochure Philanthropists are playing an increasingly important role in advancing scientific research, particularly in health sciences. This gratifying trend is particularly true of the Donnelly Centre. Philanthropy is in our very DNA with the Centre made possible in large part thanks to a generous gift from Dr. Terrence Donnelly and investments from the private sector that complemented those of government. This early support has made the Centre an outstanding destination for philanthropic funds today because it is well-established and funding can be directed to hands-on work. Your gift to the Donnelly Centre allows researchers to explore truly new and innovative ideas that will transform our understanding of biology. It supports discovery that will unearth the cause of human disease, advance diagnosis and disease detection, create personalized therapies, and reverse injury through regenerative medicine. To learn more how our research has the potential to impact lives view our Case for Support brochure. For any questions, please contact Michelle Coutinho, Senior Development Officer. 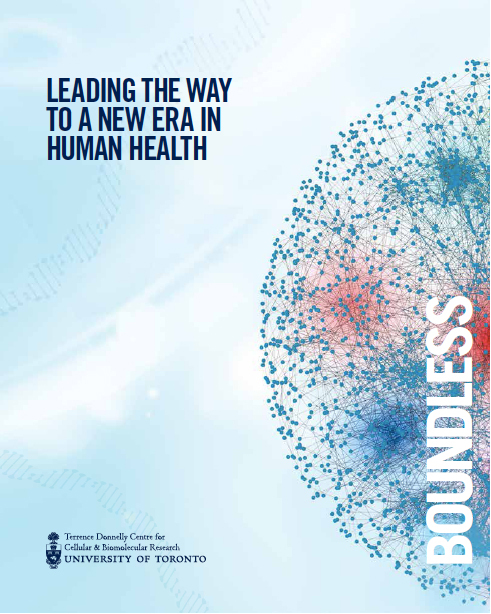 You may learn more about Donnelly Centre science and its impact from our 2015 Annual Report.